Albert Einstein once said that everyone should feel indebted to the Indians as Indians taught the world counting beyond 9 when India discovered 0 (zero). Even the development of science and technology was possible only because of India as computers also run on binary codes which contain 0 and 1 only. So, technically speaking, India has a huge role to play in the advancement of the world to this stage. The world wouldn’t have had computers or smartphones, had India not have discovered zero. Even after this, we as Indians, lag behind global communities in all areas. For this, we blame the government and shrug off our own responsibility as a citizen. What can be done about this? How can we bring a difference in the country? Appreciate and pay attention to small brilliant minds that are growing around us. 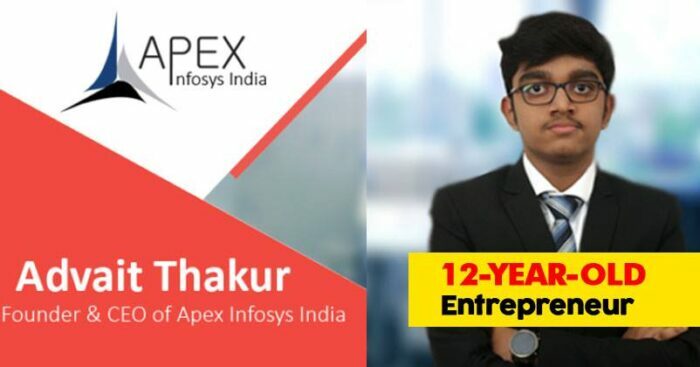 Let us take the story of Advait Thakur, a young Indian boy, who became a CEO at a tender age of 12 when the children of his age either play with toys or watch cartoon programs on TV. Advait was born on February 17, 2003, in Mumbai. He is currently studying at DAV Public School, Mumbai. 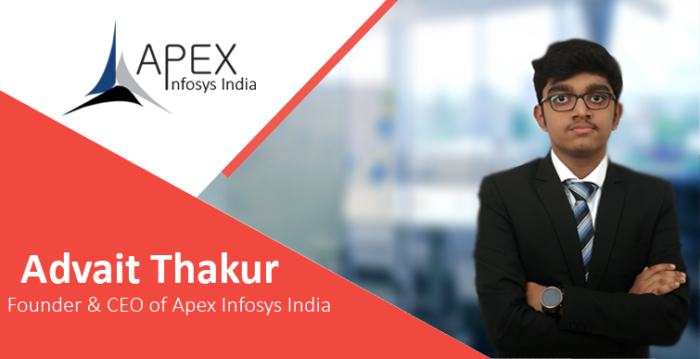 At a tender age of 12 years, he started a company called Apex Infosys, India, which had a global reach. Recently, he was certified by many global companies including Google. His company grew rapidly under his leadership and now the turnover is in Lakhs. He had a particular interest in computers. 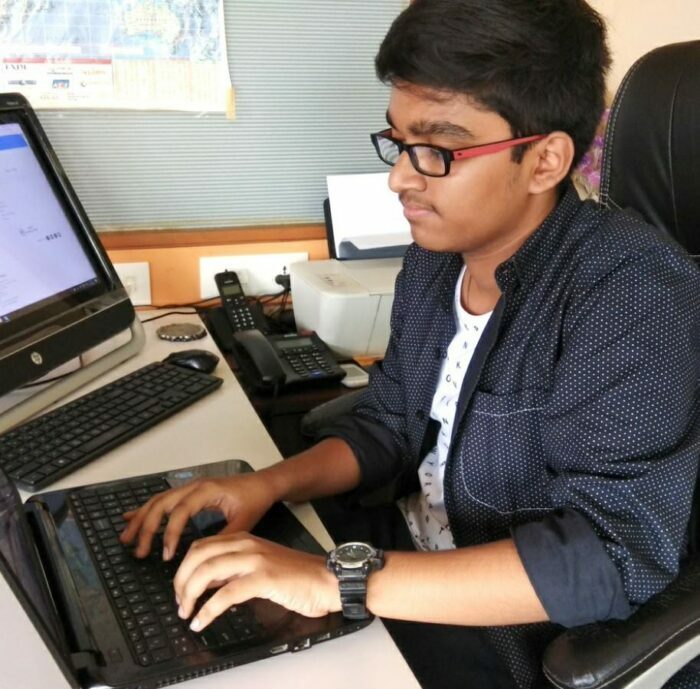 At a very young age of 9 years, he developed and designed his own website. He always stood out from the crowd. Moreover, he is also into philanthropic work. He has helped many NGOs to get more audience through the online platform by providing them digital marketing services. Advait’s first client was a Finance Company. He built a web portal and provided services like SEO, SMO, etc for which he received his first earning, which made him Young Internet Entrepreneur. So, we need to pay attention to these brilliant little gems of our country and learn from them and also guide them to be successful in their future. It is for sure, that if one has the potential and his energy is optimized the best way, he can reach the pinnacle of success, making the age factor go in vain. Advait has proved that age is actually just a number, and it applies to all age groups. 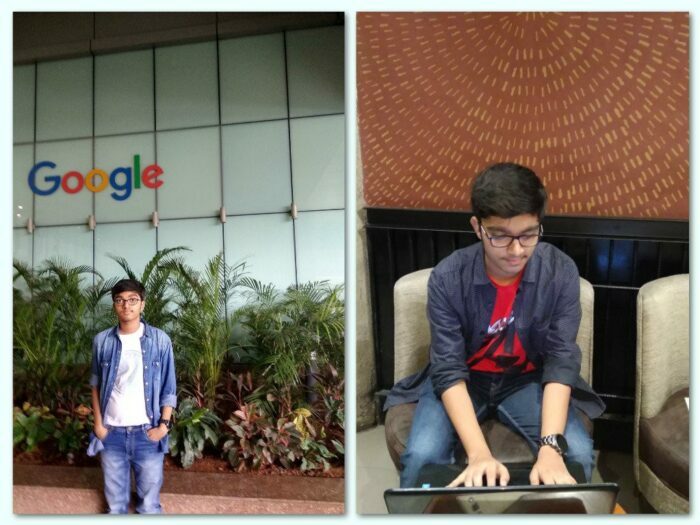 Advait is thought to be the one who can fill the shoes of Musk or Zuckerberg in the near future.